You can get wet in one of these Colonial Beach swimming pools in the area. Some are public, some are not. All are refreshing and ready to offer up a fun day of rest and relaxation. Be sure to call ahead of time for details and hours of ooperation. 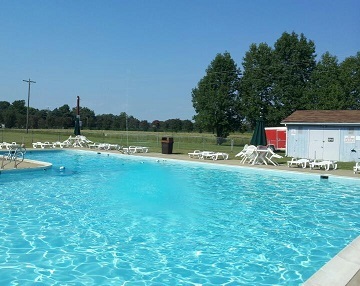 Thousand Trails Campground has one of the largest pools (pictured below) in the area. It is outdoors and open from May through October 15th every year. Located on Harbor View Circle. 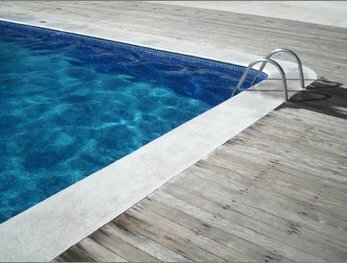 Call 804-224-8164 and ask about a day pass for swimming. It may be open to campers and their guests only. There's an olympic-size outdoor one at Westmoreland State Park with adjacent concessions, a bath house and a great view of the Potomac River. (Note: You cannot swim in the river at this state park.) Open from Memorial Day through Labor Day. Swimming is free for overnight guests in campsites, cabins and the lodge, however it cannot be guaranteed should circumstances beyond the park's control require that swimming be closed. 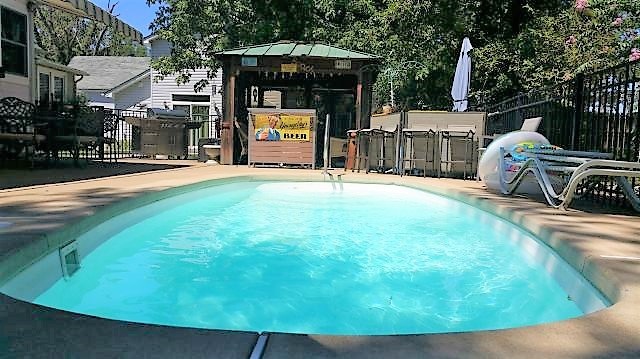 Even if you're not camping overnight or staying at the park, you can use the pool for a few bucks. Coupon books full of swimming pool tickets are also available for purchase. I was able to use this pool for the first time a few summers ago as our neighborhood association booked the facility for its annual picnic. It is probably my favorite one in the area. The water just sparkles! It is simply beautiful. Back in the actual Town part of Colonial Beach swimming pools are located at places like the River Edge Inn (formerly the Days Inn) and The Plaza Bed & Breakfast inn. Both are outdoor and open in season.